Lisa Paitz Spindler » New Commander? Could have fooled me. New Commander? Could have fooled me. 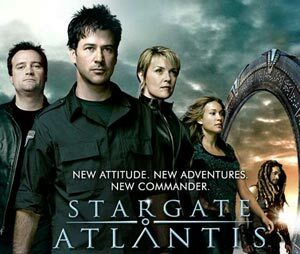 The picture in this post showed up in my In-Box this morning from the SciFi Network to remind me to watch the season premiere tonight of Stargate: Atlantis. Like I needed a reminder, but we won’t go there. . . If I knew nothing about this show, from this picture I’d guess that, oh the man standing in front of everyone else was the new commander. Nope, it’s the woman standing right behind him. Will someone please tell the art department to, literally, get with the program? Ugh. Yeah… that’s pretty lame.